Plot Summary: A National Transportation and Safety Board (NTSB) investigator tries to determine the cause of a mid-air collision involving a commercial flight and a cargo jet that killed 185 people. 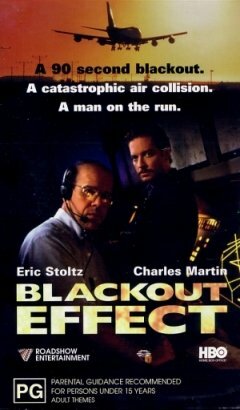 Comments: 'Blackout Effect' is an all drama film. No real special effects, and as such, no crash scenes. Apparently it's full of technical faults, but the average person won't pick up on that. Still a good hour and a half. Special Effects: There are no special effects in this film.